Dr. Edward Neu worked as a physician for more than 20 years, but then retired seven years ago due to a chronic illness. Now he is writing and publishing a series of four books. He published his first book, “Unknown Destinations,” in 2013. His first book follows six to eight resident physicians for an entire year and discusses the existence of God, nature of time, and existence beyond the physical world. His second book, “Further Along The Path” continues with deeper investigation into metaphysical topics. The series of four medical fiction books are published through the third book which came out a couple of weeks ago entitled, “More Journeys Down The Path.” In it Joe and Mary’s precocious 3-year-old son, Sean, helps Joe in his search for meaning to the physical existence that we are surrounded by in a multidimensional psychic hierarchy of spiritual growth. Through the story as well, Joe suffers more progressive symptoms of his chronic illness called sarcoidosis which attacks his liver, lungs, neurologic symptoms, prone to encephalopathy, with numbness in the legs and imbalance and seizures at times. With this backdrop, Joe strives to make sense of the world as he encounters it. The books’ website may be viewed at: www.edneubooks.com. The first chapter of all four books is available there. The books can also be searched at Amazon by going to: amazon.com/author/edwardneu. 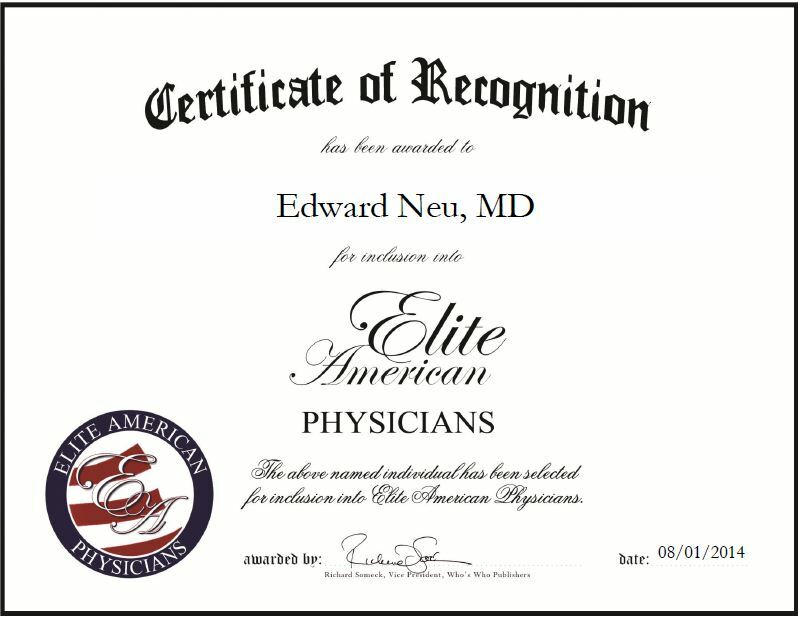 Dr. Neu entered the medical profession because he was always interested in the field and has a desire to assist others. He enjoyed being able to treat a diverse group of patients and help improve their health. Dr. Neu attributes his success to his perseverance. He looks to continue sharing his knowledge and informing the public by continuing his writing. This entry was posted in Uncategorized and tagged author, books, chronic illness, doctor, patient treatment. Bookmark the permalink.